Visit Georgia with us in TransGeorgia 4×4 Tour and confirm that this legend is indeed true. A land of endless wonders, unspoilt by modern tourism and still retaining its authentic character. The towering Caucasus Mountains forming the border between Europe and Asia. In this mystical land you will be captivated by a thrilling blend of eastern enigma and western elegance. 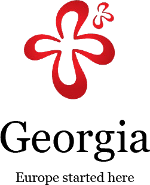 The traditions of the East and West meet in Georgia to form a culture unlike any other in the world. Accommodation in wild camps and 4 nights in hostels.